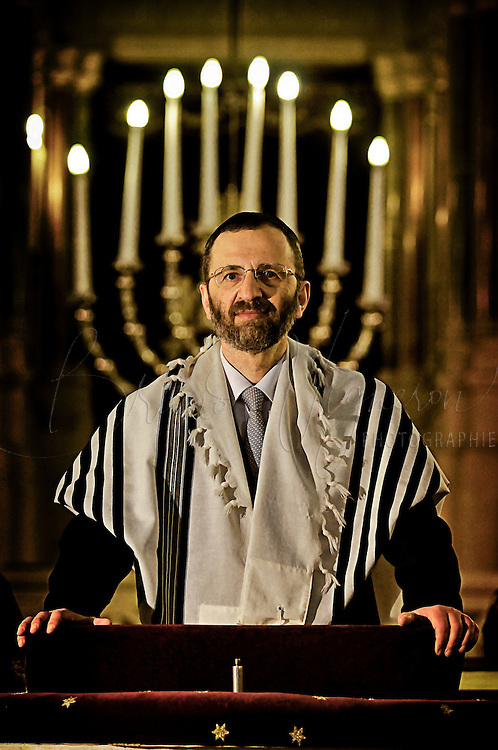 PARIS, FRANCE - FEVRIER, 01: Gilles BERNHEIM, Chief Rabbi of France. Before his election, Gilles Bernheim celebrated a bar mitzvah. Chief Rabbi of the synagogue de la Victoire in Paris. He won by an overwhelming majority of 184 votes against 99, he is replacing Joseph Sitruk, 63, Chief Rabbi of France since 1988. On a trip to Toulouse in february to hold a conference, Gilles Bernheim stood for the second time in forteen years as candidate to Grand Rabbi of France against the outgoing Grand Rabbi Joseph Sitruk. Gilles Bernheim is an alternative at the hands of a too conservative current of the jew community, and is reputed to be the most opened to civil society and to other religions. The new Grand Rabbi of France is elected for a seven years mandate and will be taking up his duties on the first of january 2009, according to the status of the central consistory.